January marks our forth Discovery box and sees the arrival of two new brands we've never featured before, as well as the return of an old favourite. We also tackle a hard to paint colour in our Painting Guide (yellow), methods for painting realistic wood and leather, and a bonus booklet all about snow basing! Find out more about the box contents in the article below, and remember you can buy all our past boxes on the store. January's box was also excellent value for money, containing almost £27 worth of high quality miniature paints, for just £19.90! That's a saving of 26% on RRP. ScaleColor paints (produced by Scale75 from Madrid, Spain), are high quality, heavily pigmented paints. 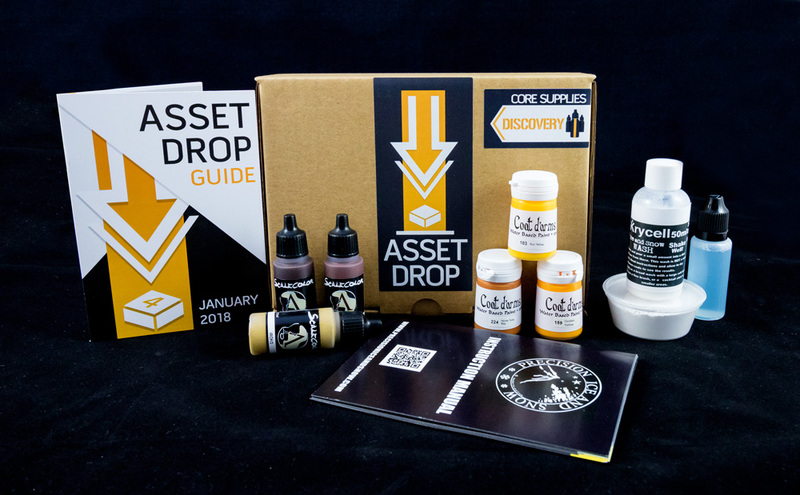 Producing a range of different paints across a number of lines (Inktensity, Alchemy, Fantasy, WarFront, etc), Scale75 have a huge offering for pretty much any purpose. The ScaleColor line is praised for an absolutely matte finish, making them great general purpose colours. Their Inktense paints are ideal for washing and super saturating colours due to their incredibly high levels of pigmentation. This line dries with a gloss finish, which looks great for effects like leather, but can be mitigated with a matte varnish for other effects, like wood. Subscribers to January's Drop received two paints from their standard range - Brown Leather and Iroko - and an ink from their Inktense range - Inktense Chestnut. These three paints were chosen as an ideal way to recreate both wood and leather effects, which were covered in step by step methods in our custom Painting Guide. Painting yellow is one of those colours that can turn out to be a nightmare, but it’s a fantastic colour for many miniatures if you can pull it off. The Coat d’Arms trio in January's drop is a great set of yellow paints, offering rich warm yellows and a decent coverage. In the Painting Guide we covered how to paint yellow cloth, as in the Tau example above. You may look at the Horse Tone Bay and think it's a dark base for yellow. But in fact, we based our Tau mini in a 1:1 mix of Horse Tone Bay and Golden Yellow, and used the Horse Tone Bay as a glaze for the deeper shadows. This works better than a more orange-toned paint (which you find used in many yellow trios) because it's a more similar tone to the yellows. Horse Tone Bay is simply darker, not oranger, so it complements as a shadow very well. The Coat d’Arms paints are very smooth and highly pigmented. They paint onto miniatures very well, thin down easily and mix well with other colours and paint brands. 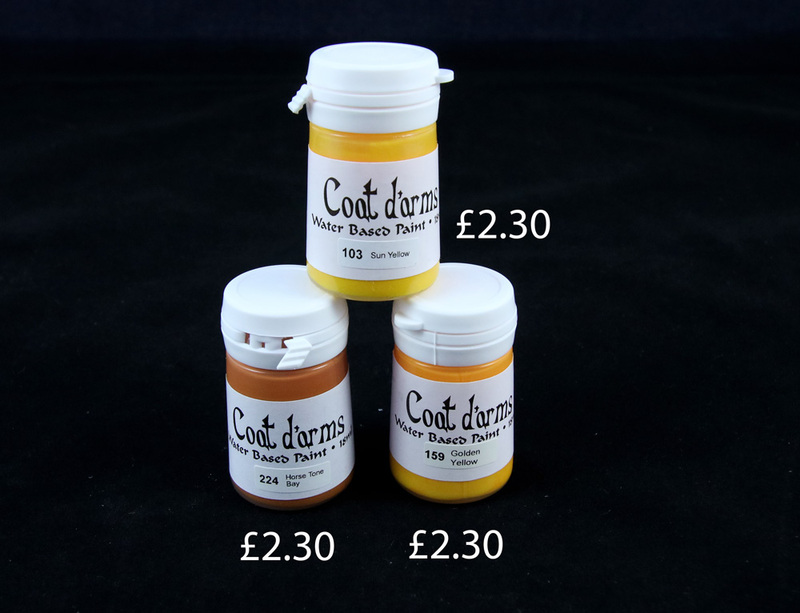 Coat d’Arms are a UK based company that used to create the Citadel paints back in the day, so they are a great place to find colour analogues for out of production Citadel colours! Precision Ice and Snow are an amazing company from the UK dedicated to producing realistic snow, ice and water effects. 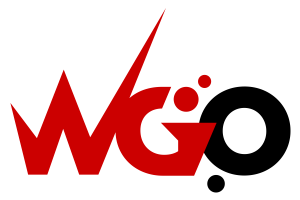 They were established in 2014 with one goal in mind: to produce the most realistic snow effects possible for scale modellers. They wanted to create a product that could be applied in many different ways to produce heavy and light snowfall, frozen snow, drifting snow, piles of snow and more! These snow effect products have been created specifically for scale modellers, which means they are perfect for miniature painters too. For example, you can apply the snow wash to your 28mm models without covering up the details. You will still be able to see colours through the snow wash where it’s thin, and it pools nicely in recesses to look like built up snow. Precision Ice and Snow is also in high demand from advertising agencies, film producers and the Merlin Group due to its ability to look so real, even at the macro level! This snow wash is amazing for washing over anything to give a lightly dusted snow look. Their Krycell snow powder is suspended in an adhesive medium, which makes it really easy to apply. Each layer is very subtle and required building up to get a thicker layer of snow, which is ideal because it means you won't accidently cover your miniature by washing it too heavily! The Gale Force 9 Tank in the example above has 2 coats of the Snow Wash. You can see that it's influenced by gravity too, because there is no settled on the vertical sides, exactly as it would be in real life. The realistic nature of the Precision Ice and Snow effects is what makes them so appealing! To accompany the Snow Wash, subscribers also received samples of Precision Ice and Snow's Fine Snow Powder and it's adhesive. These are awesome products to experiment with, which is a major focus of our Discovery monthly box. Precision Ice and Snow have created their own Instruction Manual (which was included in everyone's box this month). The guide goes through all the different ways you can use the snow basing materials, complete with pictures too. For example, subscribers can use the powder and adhesive to create built up clumpy snow by mixing different ratios together. They can also create light and heavy snowfall by painting on the adhesive and then sprinkling on layers of fine powder. You can then place your miniatures feet in the snow and create footprints! These materials are very versatile and some of the best in the industry, so we're sure subscribers are really enjoying testing them out during this wintery time of year.